Meet Clara. She’s for your little gal & your inner gal. 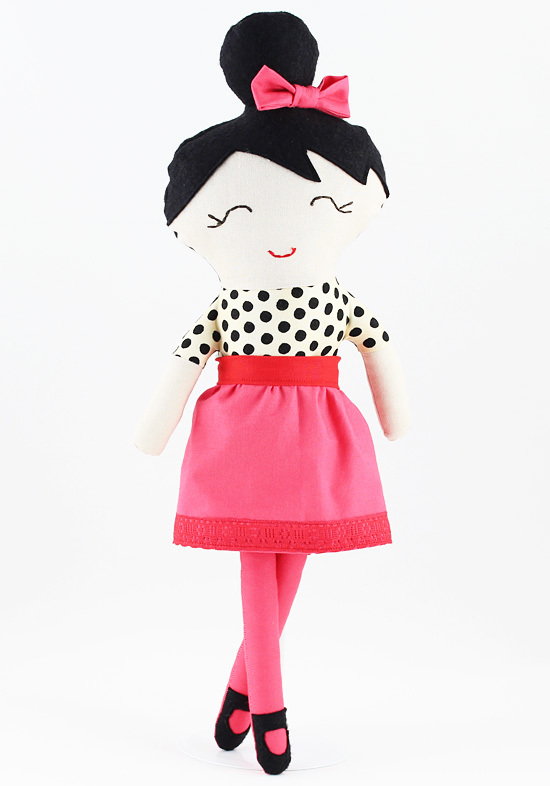 Adorned with a bow, her hair is made of wool felt, and her dress is in black and cream polka dots. Her skirt is a coral pink cotton fabric with lace trim and cherry red waste band. Clara is 15 inches tall. Clara is a sweet sophisticate and available in the Shop.